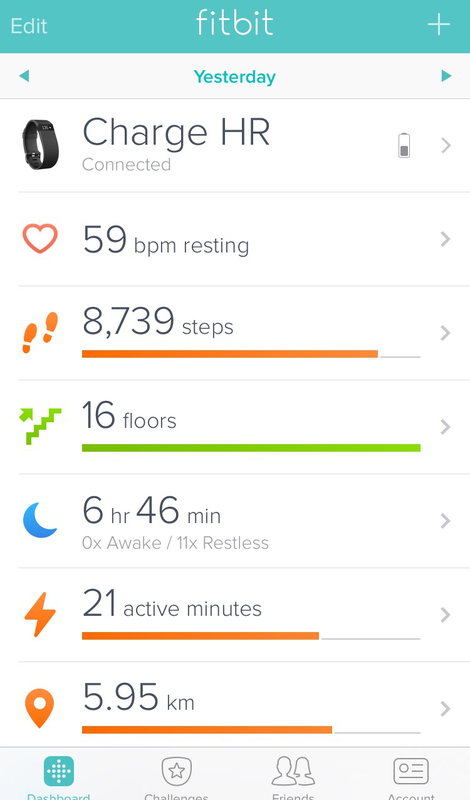 If you’re in a committed relationship with your fitbit you may have noticed a reduction in your active minutes in the past few weeks. I noticed suddenly my Fitbit active minutes were drastically reduced from my average 50+ per day. I poked around online to find out that Fitbit now assesses your time as ‘active minutes’ once you’ve been doing the activity for more than ten minutes. Initially I was disappointed with the change and soon realized this was a smart move for Fitbit, they’re trying to mirror recommendations. As a healthcare professional I recommend physical activity in 10 minute increments, the new way to assess active minutes is (in my opinion) more beneficial for users showing the most useful (in terms of health) active minutes. It’s making me work harder! *It’s to be noted that I do find it is very difficult to get ‘active minutes’ without putting the Fitbit in workout mode. If I workout or do cardio without turning on workout mode I dont get a consistent reading for my ‘active minutes’ so if you count them you may want to use this mode for improved accuracy.